Tangerine. Carrot. Persimmon. Salmon. Any way you slice it, the color orange has some pretty fabulous counterparts. 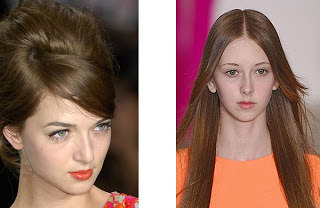 It's no wonder that the shade was seen in tons of variations and striations all over the Spring 2008 runways -- the hue pops against skin whether you're tanned like a sun goddess or pale like Snow White. Iterations at Jil Sander and Nanette Lepore ran the gamut from muted to traffic-stopping, respectively. And while the color may seem way too harsh for some skin tones -- this beauty chick was definitely under the impression that orange would never, never, NEVER work on her pasty skin -- as it turns out, it's much more wearable than you may imagine. This pot is perfect whether you want a sheer glossy look or you're going whole hog with the color. Gentle, subtle application will yield results of the same nature, while really going to town with your fingers or a lip brush will make your lips seriously, well, orange. Since its final look can vary with your application technique, it's easy to really make this pot work for you. I'm not gonna lie -- I was scared of this color when I first looked at it in the tube. Not only is the tube itself bright, traffic cone orange, the stick within is even brighter if that's possible! It's, well, electrifying. But this lipstick from M.A.C's new Neo Sci Fi Collection is definitely my favorite of the bunch. 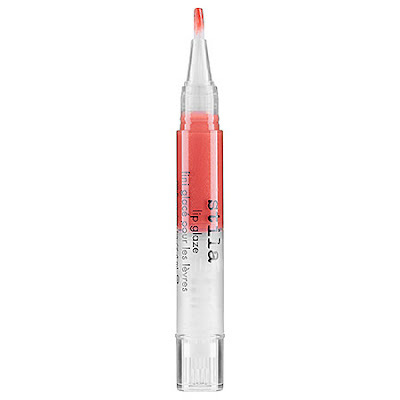 The creamy formula feels amazing for hours, and it doesn't bleed or fade unevenly. Plus, it makes me look tan. I have no idea how that happens, but somehow a single application made me look as though I'd been sitting in the sun for days. (I hadn't.) While it's unfortunately sold out online, you can still get it at M.A.C counters. There are so many fabulous things to say about this lipstick, it's hard to know where to start! With a formula of meadowseed oil, jojoba and shea butter, how can you go wrong? Plus I am totally in love with the tube, which not only is made entirely of corn but is printed with a beautiful floral print that makes it absolutely perfect to display on my vanity. But best of all is the creamy goodness it leaves on my lips -- it's non-drying and the color is the perfect shade of coral to take me from work to rooftop cocktails. There's no other way to say it ... this gloss is just a tangerine dream. 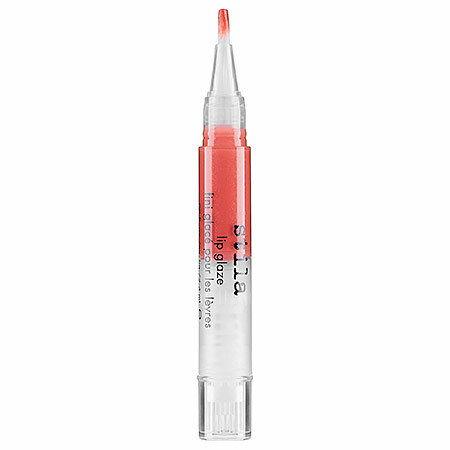 Lip Glaze is already at the top of my gloss list, so this shade is just a no brainer. The shimmering melon hue totally pops against summer skin. While some may say that Lip Glaze is tacky, I've never found that to be the case -- on the contrary, I think the color lasts for hours and never feels sticky.